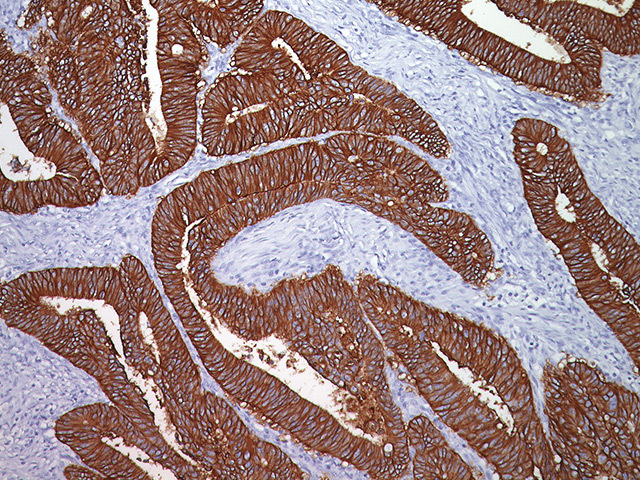 Cytokeratin 5 Antibody is a 58 kDa protein that is closely related to CK6. ELISA testing has shown the XM26 clone was positive for CK5 and negative for the CK6 protein. 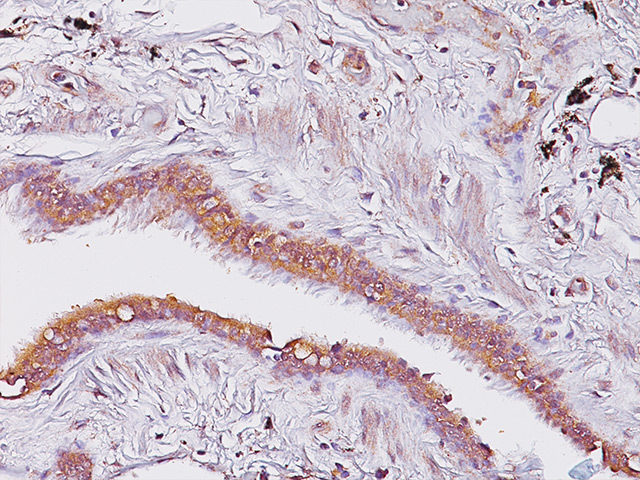 CK5 is in many non-keratinizing stratified squamous epithelia such as tongue mucosa, basal epithelia hair follicles and trachea. 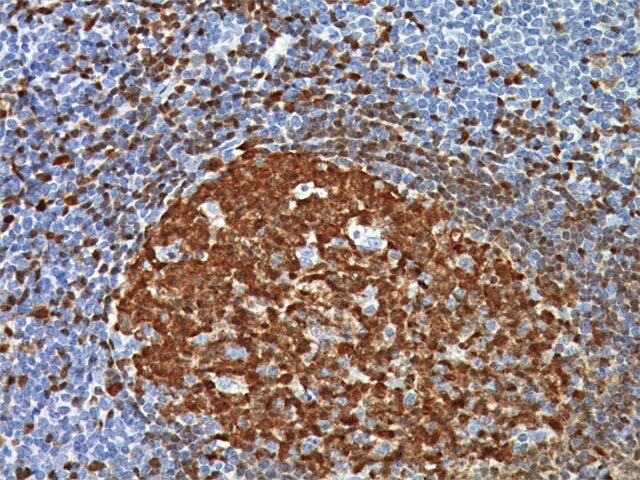 It is also expressed in prostate gland basal cells, mammary gland myoepithelial cells and most epithelial and biphasic mesotheliomas. 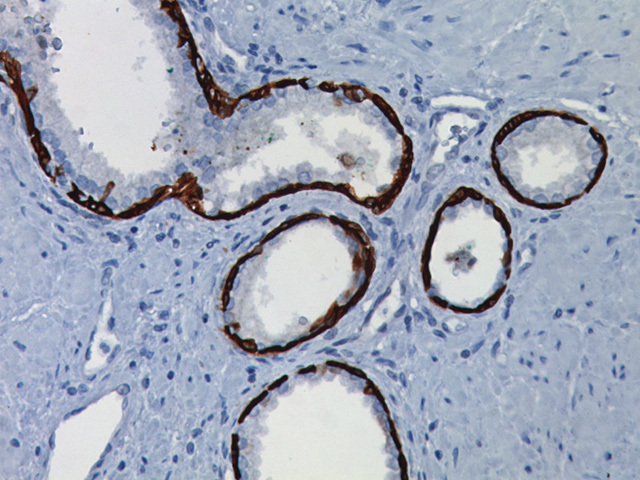 According to various studies, CK5 is expressed in large cell carcinomas and pulmonary squamous cell carcinomas. 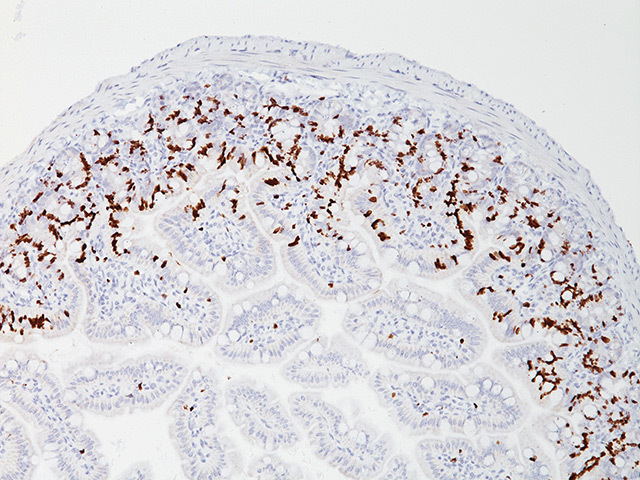 The sensitivity of CK5 for identifying basal-like tumors in breast was 97% compared with 59% for CK5/6. 1. Bocker W, et al. Lab Invest. 2002 Jun; 82(6):737-46. 2. Miettinen M, Sarlomo-Rikala M. Am J Surg Pathol. 2003 Feb; 27(2):150-8. 3. Bhargava R, et al. Am J Clin Pathol. 2008 Nov; 130(5):724-30. 4. Brunnstrom H, et al. Am J Clin Pathol. 2013 Jul; 140(1):37-46.